Just as the Universe is an interplay of systems, our body is an interplay of our nervous, circulatory, digestive, respiratory, endocrine, excretory and reproductive systems. People like practicing Yoga because of how peaceful or positively energized they feel after a session. Or, to put it in more medical terms, how Yoga affects their Peripheral Nervous System. We enjoy the benefits of moving and strengthening the musculoskeletal system (the muscles and bones). By flexing and strengthening of the spine, the space between the vertebrae expands, allowing the nerves to be fully open and the axoplasmic fluid to flow in both directions. 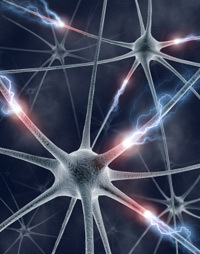 Thus, Yoga helps maintain the health of the Central Nervous System (the spinal cord and brain). Through breathing exercises (pranayama), the breath becomes regular and the heart rate slows to a normal pace. 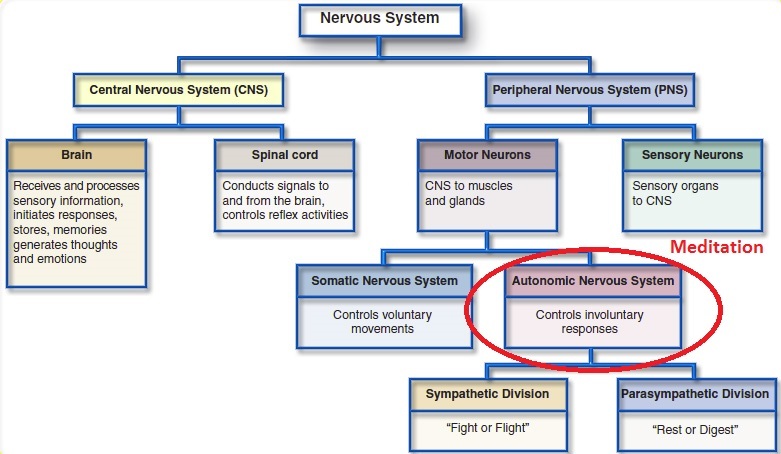 This slowing of the Somatic Nervous System sends a signal to the Parasympathetic System that the body is fine. And it is safe to rest. Finally through meditation, the mind is calmed and the entire nervous system and the body is brought to a place of complete relaxation. We are neither asleep nor are we actively engaged in life. Meditation is like taking a mental vacation. A comprehensive yoga practice includes asana, pranayama, meditation, and, do not forget, diet. This is why of all the systems of exercise, Yoga is the most complete, benefiting the many systems of our body. If you like this topic, I hope you will click through to the other articles in this series.